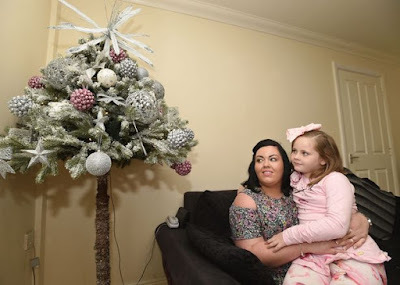 A family buzzing with excitement for the Christmas season have put their tree up in September. Becky Lytollis and her daughter Lilly-May, 7, decorated the house and hung sparkling lights this weekend. The mum-of-one, from Kirkby, Liverpool, said her daughter always gets excited for Christmas straight after her birthday and wants to get festive early. She told the Liverpool Echo : “It was Lilly-May’s birthday on September 1 and she always knows that Christmas comes up after it. 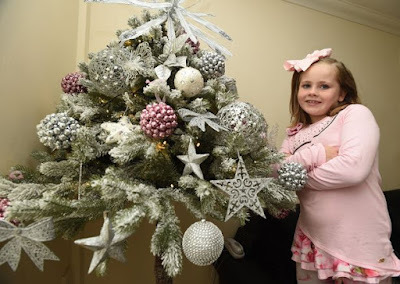 Lilly-May featured in the ECHO two years ago when the family were inspired by radio host Leanne Campbell to decorate for Christmas early. Becky added: “We love Christmas in our house but we don’t normally put the lights up this early. The mum and daughter spent Sunday evening lighting up their living room and even hanging lights outdoors. 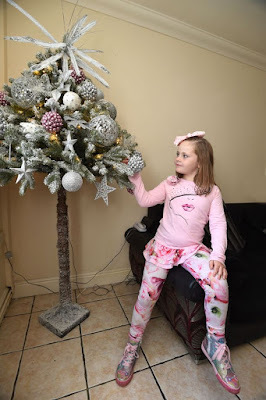 Becky said: “My friends and family said I’m mad and my fella just sat and laughed his head off while we were decorating.